We compare radiosonde observations of relative humidity with NWP versions of the Meteorological Office Unified Model, and attempt to understand the causes of the systematic differences seen. The differences are found to have a different structure in cyclonic and anticyclonic situations over the UK. 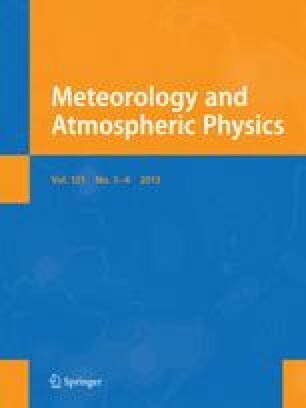 In cyclonic situations the mid-tropospheric temperature and humidity differences could be due to model biases, consistent with the conservation of energy; the latent heating from precipitation of the model's excess moisture would remove the model's cold bias. There is also some evidence for observational bias. Wetting of the sonde sensor in cloud can cause a moist bias at higher levels. The Väisala RS80 sonde also appears to have a dry bias near saturation. The Unified Model has a parameterisation for stratiform cloud which calculates the fractional cloud cover in a gridbox from the box-average relative humidity, allowing for sub-grid-scale variability within the box. This scheme has been tuned to give reasonable cloud amounts with the model's relative humidities. The cloud amounts implied (by the scheme) for radiosonde relative humidities are systematically less than the observed cloud. So assimilation of the observed humidities can significantly degrade analyses and predictions of cloud. Bias corrections for the radiosonde humidities have been calculated to compensate for this. Experiments have been performed to test the effect of the bias correction on the assimilation and prediction of cloud and precipation. With the control system, cloud cover and precipitation spins-up during the forecast period; the bias correction improves this. A large improvement was also found when the relationship between the temperature and humidity assimilation was changed; it is better to assume that temperature and relative humidity errors are uncorrelated, rather than temperature and specific humidity.